Summers Landing is the latest new home neighborhood developed by Summergate Companies LLC. Phase 1 of this six-phase development was launched in 2016. The remaining phases will be developed over the next several years. 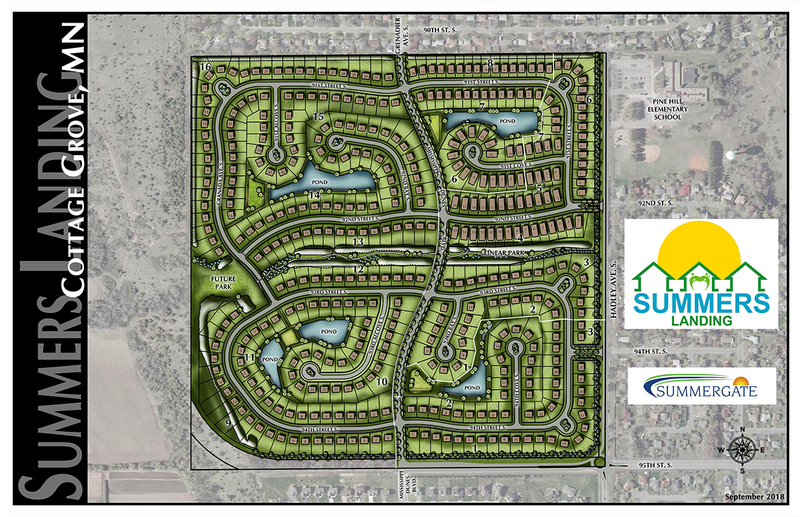 As you can see from the drawing below, Summers Landing will feature ponds, parks and cul-de-sac lots. This moderately-priced neighborhood will feature an extensive variety of home plans provided by three premium custom home builders. They will offer you the opportunity to customize your dream home with a variety of design options. Offering the latest in technology, all homes will feature Gigabit Fiber Internet for a blazing fast internet connection. 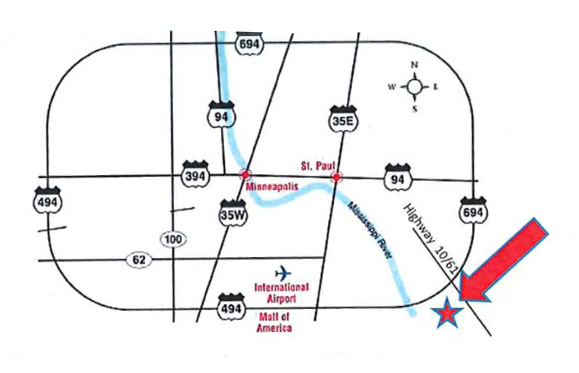 Located at the NW corner of Hadley Ave and 9th Street in Cottage Grove, Summers Landing offers convenient access to schools, shopping, dining, and transit.